There are few things that are more frustrating to a football team than to drive the length of the football field and get three or four shots at the end zone from the one or two yard line only to come up empty. Everyone from the head coach down to the analytics expert knows that is not supposed to happen on the Goal line. The other thing that becomes immediately clear is that one coach and one group is going to bear the brunt of the scrutiny when this happens, particularly when you attempt to run the ball and are unsuccessful. All eyes immediately go to the offensive line and the offensive line coach. Even when the coordinator attempts to pass the general consensus is that he did so because he did not have confidence in his offensive line and run game to get one yard line. 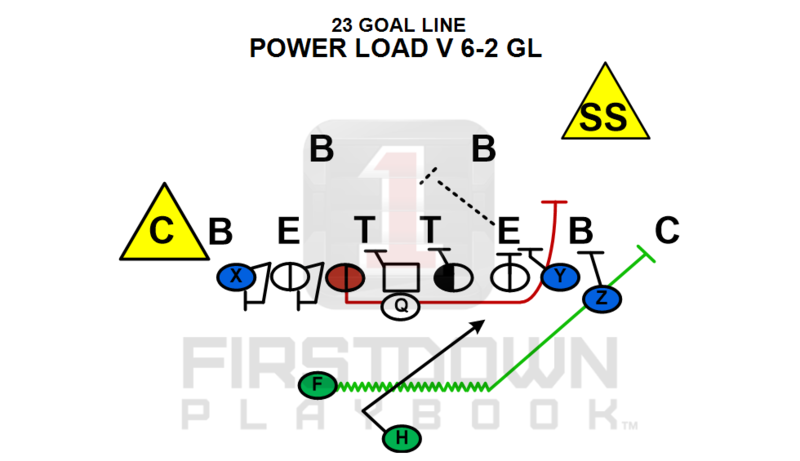 FirstDown PlayBook and USA football’s Keith Grabowski wanted to take a deeper dive into this very topic this week on the Coach & Coordinator “Game Plan” podcast. Our thought was let’s talk to someone who has not only coached the offensive line at the highest level of the game but also someone who has coordinated an offense as well. As a bonus we wanted to talk to an offensive line coach who had a background in power football as opposed to the popular zone schemes that we mostly see today. We were fortunate to run down former Minnesota Vikings and three time Rose Bowl champion Jim Hueber. Ask anyone who has played for, coached with or had to line up across from one of his offensive lines and you will hear a common theme…”toughness”. 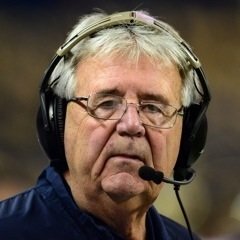 Yes coach Hueber has had the fortune to coach a lot of good football players over his forty some years but as you will hear in this podcast, the toughness aspect and the ability to go get that one yard in a goal line situation is something that is sold first and foremost by the offensive line coach. His Wisconsin, Rose Bowl winning offensive lines were known for their technique and fundamentals as well as the toughness associated with lining up and running the downhill power at a defense. Today we also look at the more recent approach with short yardage and goal line situations and compare this to bringing in big personnel to get the job done. It’s an interesting look at a very critical football situation and Coach Hueber certainly does not disappoint. On January 6, 2019 FirstDown PlayBook is going to hand the chalk back to you, the coach. You will finally have the capability of editing our database of plays, which should be pushing 40,000 by then, as well as create your own plays. Want it first and for less? Bang on the football to your left to learn how.